Two EPs. One old. One new. Both amazing. I missed this. I’m sorry for that. ‘Indian Summer’ was originally released back in May and, like the title suggests, would’ve made the perfect icy soundtrack to a hot summer. Instead, I’ll be listening over the frosty weeks to come. Each of the five tracks reflects differing styles that have all been popular over the past year. The title track is perhaps the weakest, though it remains a solid Swedish pop track with a catchy “aay aah” hook that Katy Perry would be proud of. Bon Voyage is catchier still, its subdued, womping synths making way for an earworm of a chorus with instant appeal. I Do This For You is a more sombre track, all throbbing, moody synths and clattering drums that build into an almighty chorus that brings to mind plenty of other songs – but in a really good way (this and this in particular). With Stay Awake, Marlene heads down more of an R&B path with its sparse beats, but its glorious piano melodies and syncopated sunny synth chords remain uplifting. Finally, it ends on a laidback note with Lavender Fields, all shimmering piano arpeggios and evocative dance production. Where Marlene takes on disparate styles, with his latest EP Swedish producer Kleerup has established a strong core sound that’s a step on from his own solo material and his most famous work with Robyn. ‘As If We Never Won’ is indebted to the 80s. That’s clear immediately from the pounding beat and pulsing synths of Sad Boys, its syncopated hook slowly layering up with strings and guitars. As the title suggests, it’s a dance track with a melancholic streak and a widescreen sound that only widens with following track Let Me In. Beginning with a sliding guitar, its regular marching beat has a distinct reminiscence of Frankie Goes To Hollywood, coloured with kaleidoscopic synths and a dreamy vocal from Susanne Sundfør. It’s the high point of the album, followed by the similar Nothing Left To Die For with Jenny Wilson that slows the pace a touch but with a familiar throb. The mood changes from here on with Rock U featuring Niki & The Dove. The sound remains firmly in the 80s, but the focus changes to heavily reverbed guitars for a sound closer to modern 80s throwbacks like Twin Shadow and M83 (as well as Niki & The Dove themselves). As If We Never Won features vocals from Maja Ivarsson and takes on a sombre air with a whirring electro solo that wouldn’t sound out of place on the Drive soundtrack – but with an added quality of Swedish cool. Ending with the acoustic track Thank God For Sending Demons feels a little out of place by comparison, though it’s a pleasant enough listen. 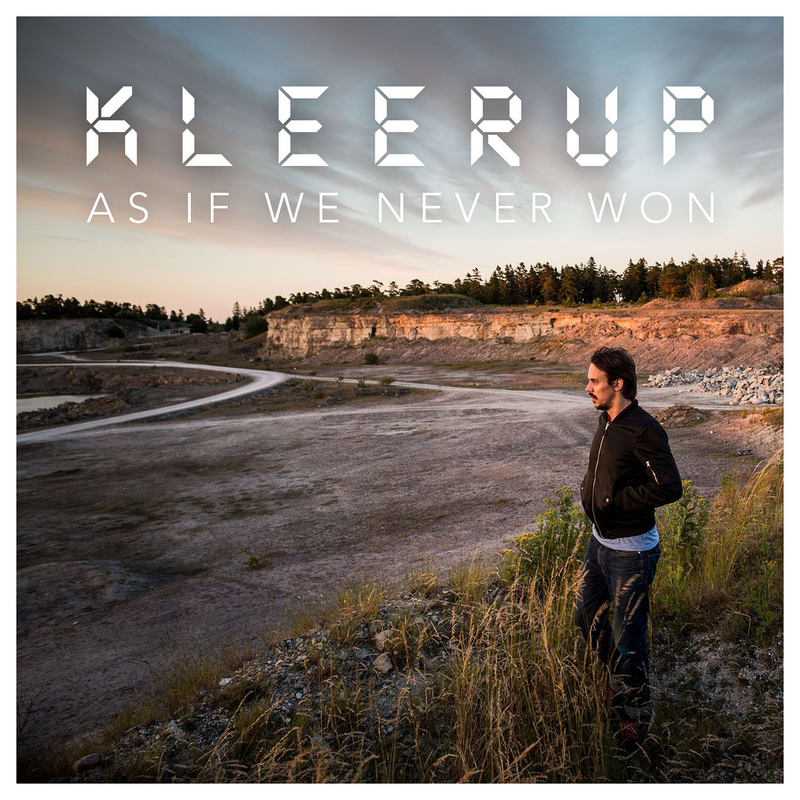 Mining the 80s once more for inspiration may seem tired, but Kleerup’s EP is just so slickly produced that you can’t help but fall in love with the sounds all over again. Bring Robyn back on board and that’s just magic waiting to happen. Listen: ‘As If We Never Won’ is available now.